Image credit: Tibet. 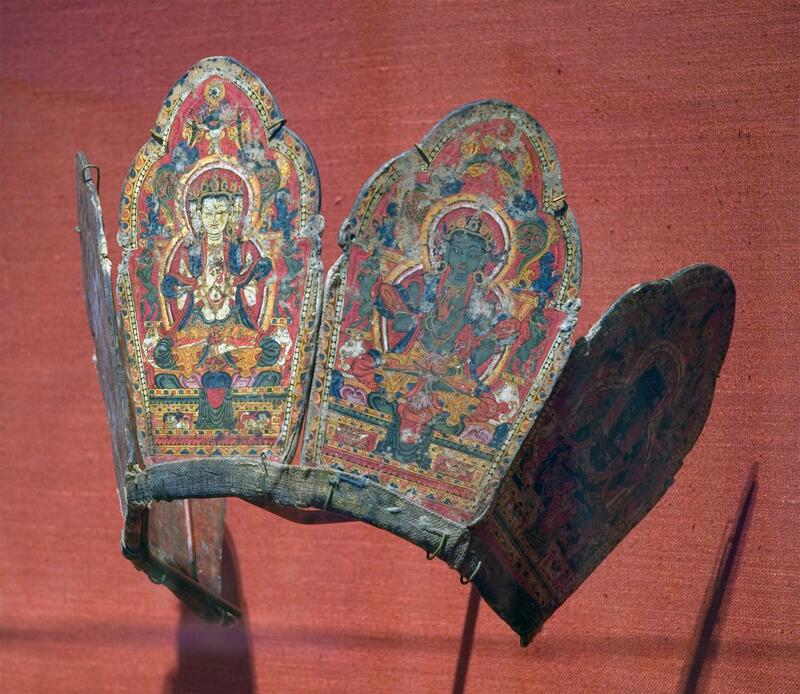 Ritual Crown with the Five Tathagata Buddhas. Late 14th-early 15th century. Image courtesy the Metropolitan Museum of Art. Browse images by geography, then select a classification, particularly Humanities and Social Sciences, Decorative Arts, Utilitarian Objects, and Interior Design, or Fashion, Costume, and Jewelry. Browse the collections of museums with encyclopedic collections (e.g. The Metropolitan Museum of Art or the Dallas Museum of Art) by classification, such as Costume, Decorative Arts, or Sculpture. Try these sample search terms to find images related to Anthropology. Don't forget to use the search filters to narrow your results. The National Anthropological Archives, Smithsonian Institution has shared approximately 1,600 19th-century Plains Indian ledger drawings. Plains Indian artists often executed these drawings on the pages of ruled ledger books acquired through trade, continuing a long tradition of painting on buffalo hides and other available media. The subjects depicted include social and religious ceremonies, warfare, courting rituals, personal dress, material culture, and scenes of daily life. Similarly, the Natural History Museum, London has shared drawings and watercolors related to the First Fleet expedition, which established the first European colony in Australia in 1787. The settlers recorded the landscapes, flora, fauna, and aboriginal people (known as the Eora) they encountered in the early days of the new colony. The ethnographic images represent the only visual record of the Eora people, who became extinct within 20 years of the first landing, whether killed outright by the settlers or by the diseases they brought with them.